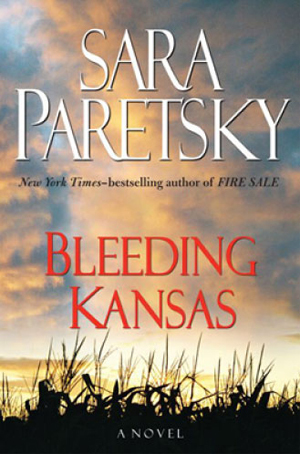 This month for Barrie Summy's Book Review Club I'm writing about Sara Paretsky's Bleeding Kansas. I have a bit of a thing for V.I. Warshawski, and to tell the truth I have a bit of a thing for her creator, Sara Paretsky, too. 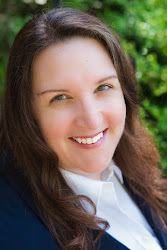 I'm a member of Sisters in Crime, a group Paretsky founded, and I've heard her speak in person. All of this increased my admiration for Paretsky and her work. So I bought the book for my dad (also a Paretsky/Warshawski fan) as a thank you gift for driving to Inconvenient, Illinois to pick up my girls' new bike and saving us $150 in shipping costs. Naturally, I read the book before gifting it. What, you don't do that? Oh. Well, I do. Just as naturally, he already owned the book and had really enjoyed it. So, to conclude: if you like history, you might check this out. If you're interested in pioneers and settlers and the history of slavery in our country, you might find this interesting. If you'd like a picture of non-cookie-cutter politics in America's heartland today, you might check this out. But if you're a Paretsky/Warshawski fan looking for the sort of hard-boiled Chicago P.I. page turner we're both used to, well, you won't really find that here.